Attendees visit the Samsung booth at the 2010 International Consumer Electronics Show in Las Vegas January 7. A former Samsung insider has launched a scathing attack against the company. Samsung: The vast majority of (Kim's) allegations were ruled ... to be unfounded"
Seoul, South Korea (CNN) -- Many South Koreans joke they inhabit "the Republic of Samsung." But a one-time insider at the powerful Korean conglomerate has launched a scathing attack on his former employer, saying Korean politicians and media turn a blind-eye to the company's misdeeds. Speaking at the Seoul Foreign Correspondents Club earlier this week, Kim Yong-cheol accused Samsung's founding family of wielding "never-ending power." "I think there is no hope for Korea to control Samsung," said Kim, 52, who worked at Samsung as senior in-house counsel from 1997 to 2004 and who now calls for action against Samsung by international consumers and investors. "If funds invest in companies committing crimes, I think this is criminal action by investors," he said. He details his allegations in an explosive book, "Think Samsung," published this year. Kim went public with allegations of corruptions against Samsung's Chairman Lee Kun-hee in 2007. The next year South Korean prosecutors discovered that Lee had hidden billions of dollars in slush funds in accounts under false names. He was convicted in 2009 on charges of tax evasion and breach of trust. Lee Sr. voluntarily resigned from the group's chairmanship and received a suspended sentence. Earlier this year, however, Lee resumed his chairmanship of Samsung after receiving a presidential pardon, amid public hopes that Lee -- Korea's richest man -- would use his money and influence to help the nation win its bid to host the 2018 Winter Olympics. Lee -- who is rarely seen in public, and never grants interviews -- is viewed by some as a business visionary who pioneered Samsung's move into electronics and made the company a global brand. Many Koreans view Samsung with pride. The group does everything from computer chips to ships, producing one-fifth of Korea's exports and employing 270,000. Its construction arm has raised the world's tallest building; its electronics arm vies with Sony as the world's top electronics company. 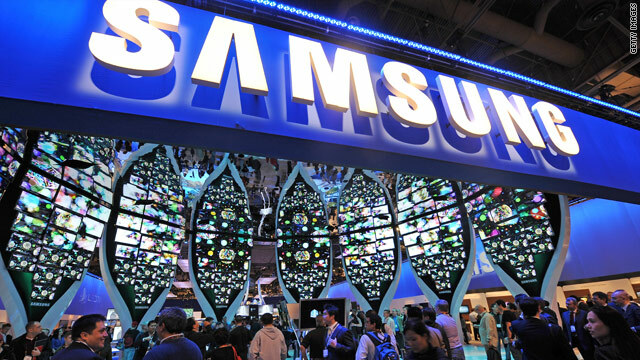 Last year Samsung was named the world's 19th most valuable global brand in a Businessweek/Interbrand survey. The issue of Lee's crimes and pardon has riveted the nation. "Think Samsung" alleges the company paid bribes to prosecutors and muzzles media by threatening withdrawal of lucrative advertising fees. "A dog does not bite the hand that feeds it," Kim said of Korea's press. Some Korean media officials acknowledge the pressure Samsung and other Korean family-managed conglomerates, known as "chaebols," place on local press. "It is not right for media to rely on certain companies' financial support," said a local magazine publisher, speaking on condition of anonymity. "We have to be independent." No major media would carry ads or reviews of Kim's book, Kim said, but it has sold 150,000 copies from online buzz. Kim's meeting with the foreign press almost never happened. Maeng Joo-seok, president of the Seoul Foreign Correspondents Club, attempted to prevent the event from taking place on club premises, stating that it would simply give Kim a chance to publicize his book, and could "defame" the club. Club members rebelled, hosting the press conference in the club lounge in defiance of the ban. Samsung PR officials also attended. There was a tense moment when Kim asked them to leave. Foreign journalists responded that nobody should be forced to depart. It was Kim's first address to overseas reporters. "For the last two years I have avoided meeting foreign correspondents," he said. "I don't know it if was nationalism, but I thought it shameful to tell bad stories about Korea." Regarding Lee's resumption of the chairmanship, Kim was dismissive. "In seven years, I only saw him two times," Kim said. "He was never appointed by the board, or by the shareholders, he never made official remarks, he never made official statements." It took Kim three years to go public. After leaving Samsung, he worked at a law firm as an outside advisor to the group. When he wrote a column in a left-wing newspaper about the malfeasances of Hanwha, another conglomerate, a Samsung-related entity contacted his law firm and pressured them to force him out, Kim said. That sparked a desire for revenge, Kim admitted but said, "I came out in the public interest." It was a big step, forcing him "to give up all the relations I had made in 50 years of life." Asked if he feared legal action by Samsung, Kim replied, "That is what I have been waiting for! If (my allegations) were false, they would have filed libel suits." Three hours after the conference, Samsung shot back with a press statement. "(Kim's) allegations were examined in detail by an independent prosecutor and the Korean courts over the course of two years," the statement said. "The vast majority of the allegations were ruled by the Korean courts to be unfounded." As for its alleged power over the press, Samsung said, "Any cursory glance at actual press coverage of Samsung will show that enough critical articles are written about Samsung to refute this allegation." Still, Kim's accusations strike a chord. "In the past, Korea, was oppressed by military rule," said Kim Sang-bong, a philosophy professor at Chonnam University who supports Kim and is leading a local boycott of Samsung products. "Now I think Korea is oppressed by capitalist rule."